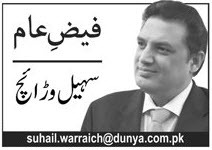 Suhail Warraich used to be a sane voice.....he has gone bonkers. Companies were those family limited LLCs that ruined this country for decades. For the first time ever, someone is actually working to fix the ship, instead of using WD40 and duct tape. I had been having hard time to prove my point that the team is "RELU KUTTA"
but PTI sympathisers do not understand positive criticism. Deen e imrani main ikhtilaaf karna kufr hai! Wariach is like a astrologist. Basis his analysis on generalisation and feelings. Let's make him the chief minister and see what he comes up with! All they want is the new government to fall because they don't enjoy the personal luxuries of the past governments. I wish I saw any one of these self-proclaimed gurus writing columns like these only 5 months in for the PPP and PML-n governments. Just read this line in this column and you will know the truth. 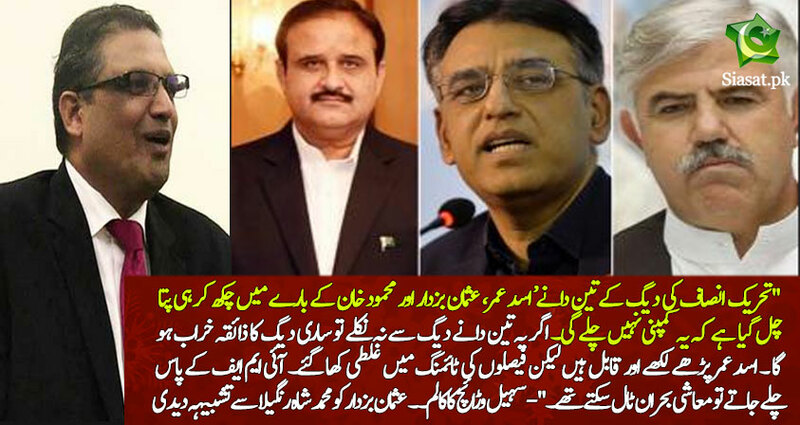 Every crook wants this govt to fail because they dont want Pakistan succeed. This govt rescue from deafult. Jin ki arbon ki properties hon, kuch sàl phly tak column likhny se ghar ka guzara basar bhi na hita ho aur aaj wo arabon ke malik hon. Kaise chalae gi yeah govt bhai. Kuch karo haram ko band mut hony do inke choty choty bachy hon ge wo kaise American education lain ge.